Today is the start of our “Smart Email Marketing for Conversions” week – 5 great posts (including today’s free 23-page ebook written by Oli Gardner & Georgiana Laudi) to help you do smarter email marketing. Email marketing is the most effective, yet terrifying marketing tool at your disposal. Why? Because once you hit that send button to push your message to hundreds or thousands of people, any mistakes you’ve made will live permanently in the inbox of your leads and customers. 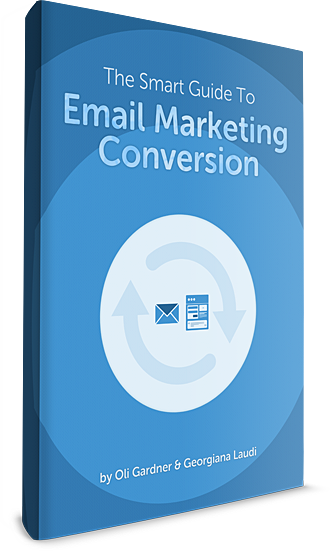 There’s a better way to do email marketing; one that’s designed to improve your conversion rates, and at the same time simplify your emails. Instead of exhaustive, long email content with too much detail and too many links, you can create a short, easy-to-read email with a single action to perform. This action is to send your reader to a targeted landing page, where you have the space to really tell your campaign’s story. As you’ll learn, the real crux of effective email marketing is based on the principle of sharing, not selling. You do this by leveraging your expertise through content marketing. 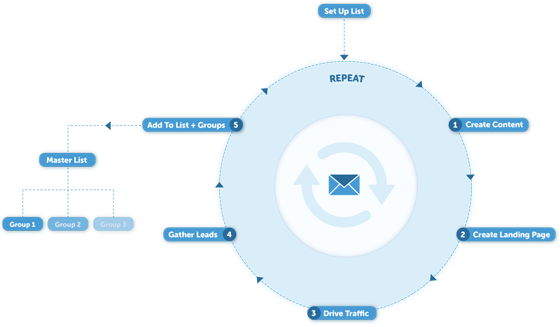 What Does This New Email Marketing Process Look Like? To get started, here’s a diagram that explains the basic workflow we’re going to discuss throughout the ebook. As you can see it’s a process that get repeated every time you do a new campaign. A process for smart email marketing for higher conversions. 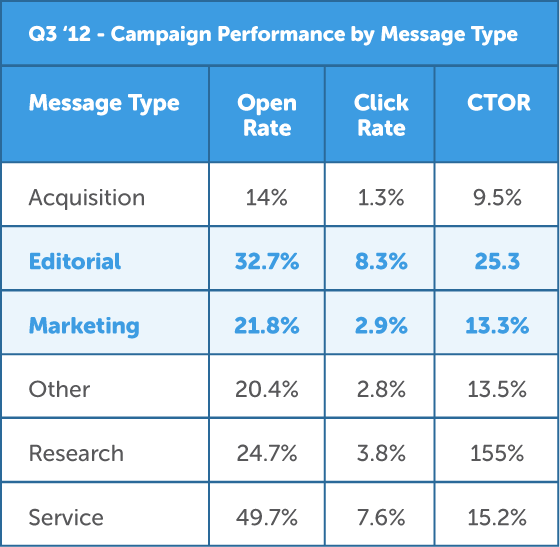 Some Email Marketing Stats to Really Convince you. There have been many reports that email Open Rates have increased in the last 4 years; However Click-Through-Rates are down considerably according to this study of 80 billion emails. This is especially true for promotionally driven email campaigns. Interestingly, when you compare promotional marketing emails to editorial driven emails (ebooks, whitepapers, case studies, blog posts), there’s a clear winner. *CTOR (Click to Open Rate) represents the CTR for those who opened the email. So that’s just a short preview of what’s inside today’s ebook. Download the full version now.